Amy Wilson, 2015 – Hudson Guild Gallery and Greenwich House, NYC. 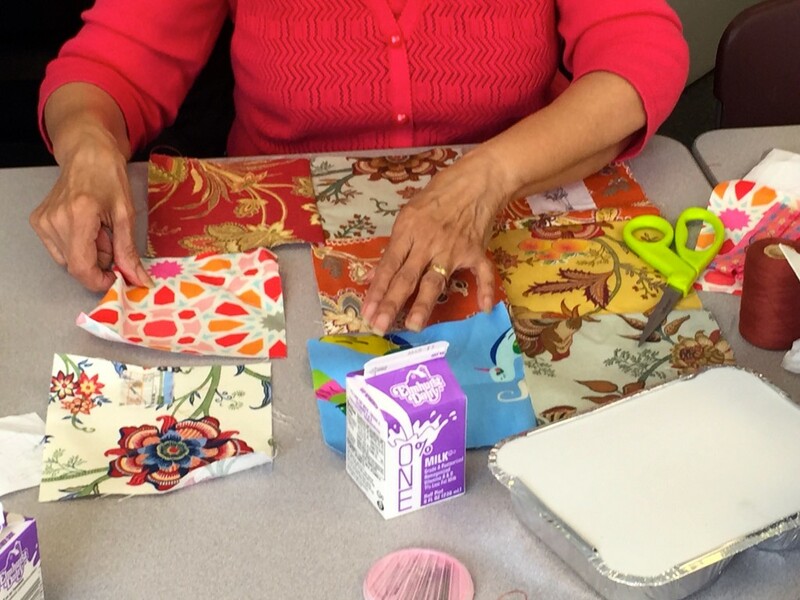 Artist Amy Wilson led a series of workshops with a group of senior citizens from Hudson Guild Adult Programs and Greenwich House. 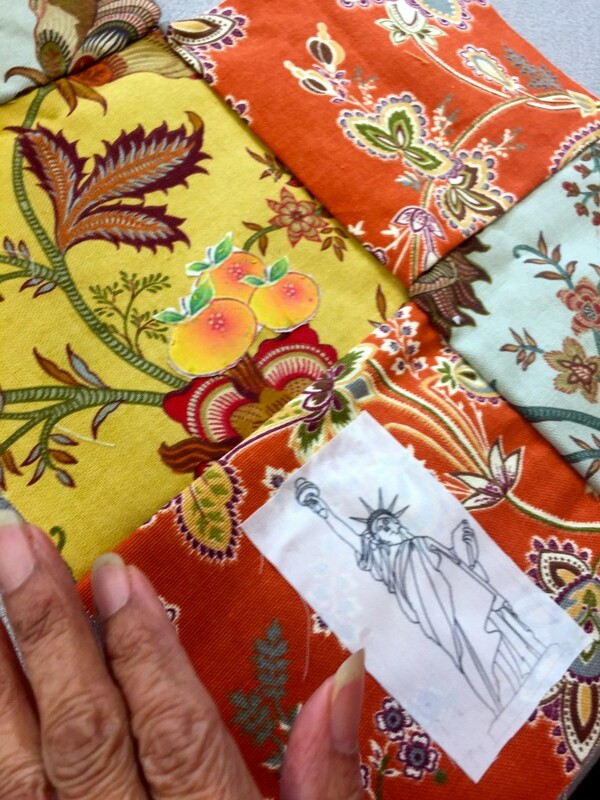 The project uses quilt-making to encourage long-time elderly residents, most of whom are immigrants, to engage with their past through the lens of gentrification. 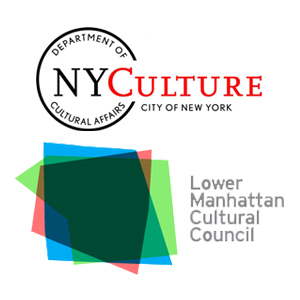 This series of three-hour workshops took place weekly at the Hudson Guild Senior Center over the course of eight weeks, and continued at Greenwich House for an additional eight weeks. 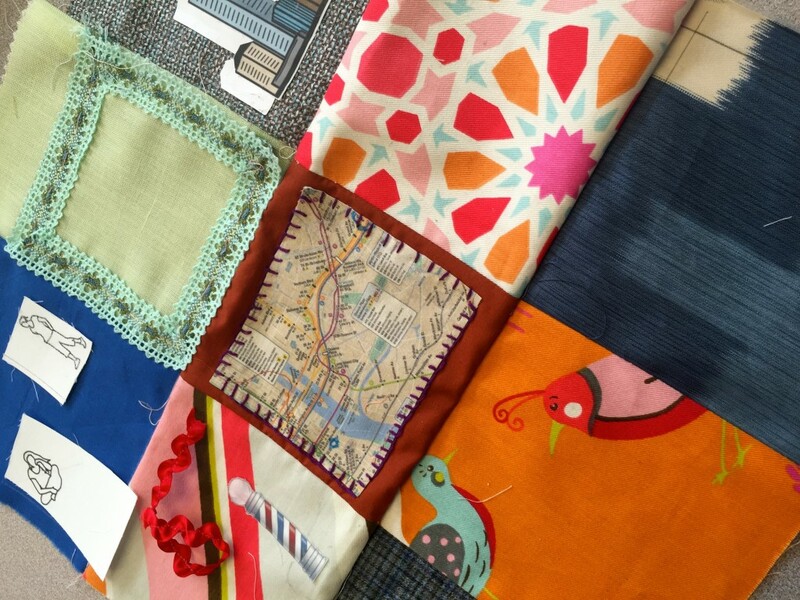 Each senior produced a quilted work, approximately 36 x 36 inches in size, commemorating their starkest and most personal memories of New York City since they arrived. 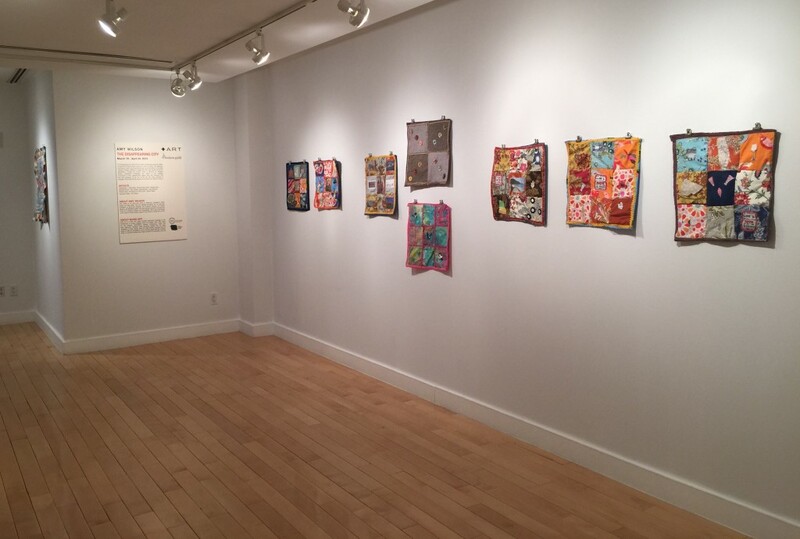 From March 19 to April 24, 2015 the quilts were on exhibit at the Hudson Guild Gallery, 441 W. 26th Street, Chelsea, New York. The first step of the creative process was for each participant to choose a story and sketch out their quilt. Then, using embroidery and appliqué, they worked on the imagery, blocking out the main elements with pieces of fabrics and embroidering the details. 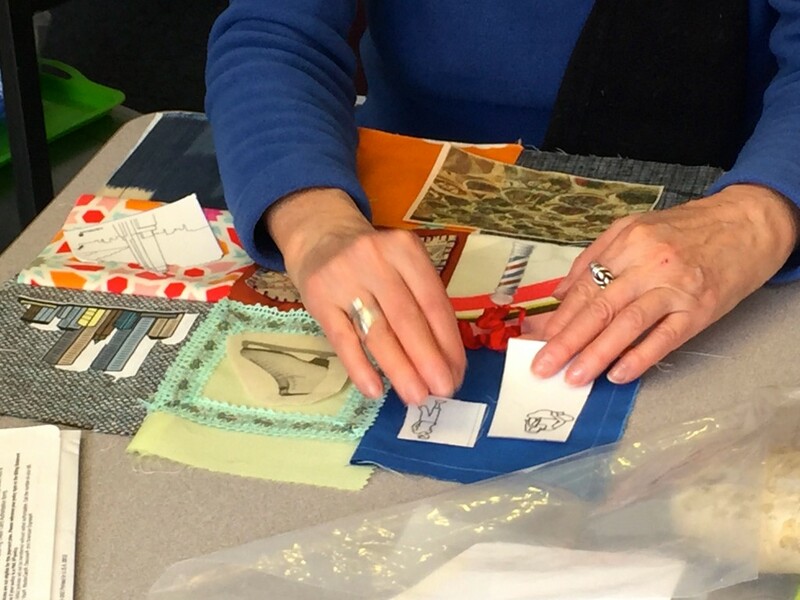 The last part of the workshop was dedicated to turning these “fabric drawings” into quilts by stitching through stuffing and a second layer of fabric. Throughout the workshops, Amy Wilson discussed the status of crafts as an art form, and addressed basic aesthetic concepts such as composition, representation and the contested dichotomy between high and low forms of art. 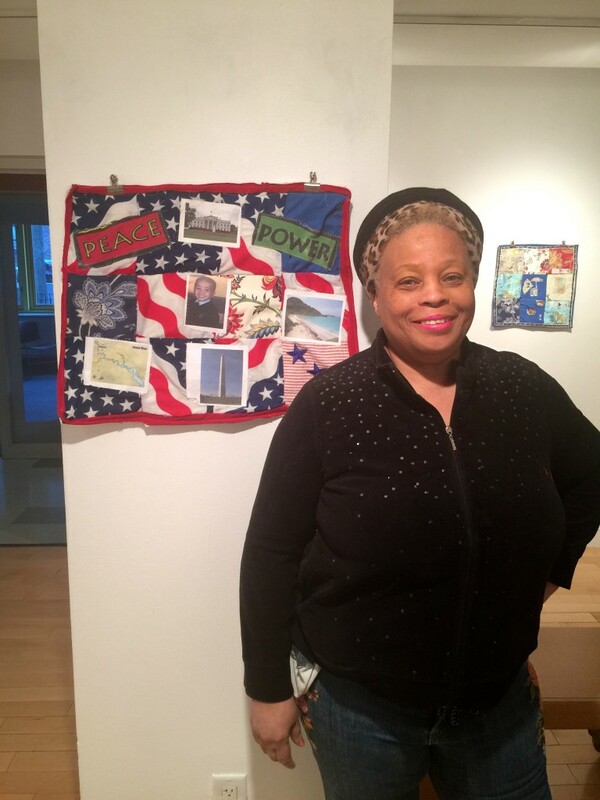 The finished quilts are to be exhibited at the Hudson Guild Gallery and at Greenwich House, making the project visible to both the local communities and a wider audience of art enthusiasts. 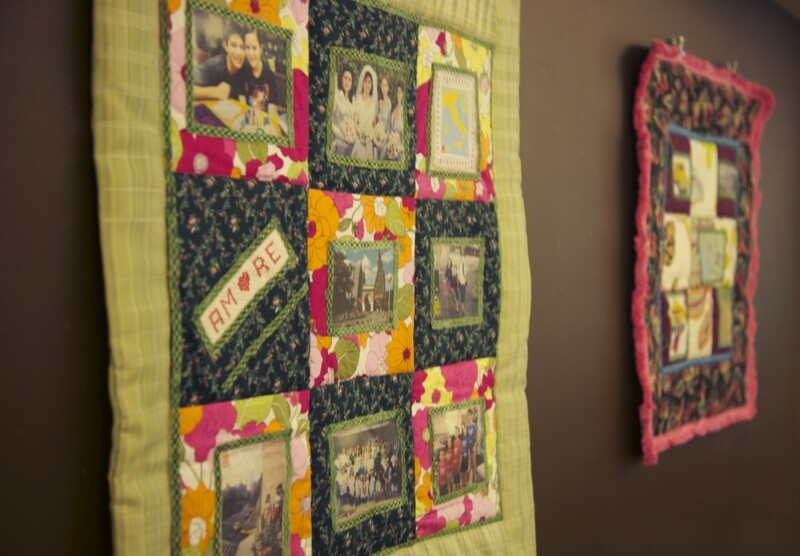 At the end of the project, each senior will retrieve his or her quilt, which, one can imagine, will be passed on to children and grandchildren as part of their family legacy. The Disappearing City utilizes craft-making to convey a story and a sense of history. Indeed, traditional American quilts in the 18th and 19th century were not only practical items, but were also used to mark important moments in a person’s life such as births and weddings. Quilts often contained a great deal of information and details pertaining to individuals and, as a result, came to play a large role in preserving family history. Re-occurring motifs such as family trees helped develop and elaborate overlooked parts of American folk history. The Disappearing City is an opportunity for these underserved members of society, many of whom live in isolation, to come together around a shared experience. Through this project, they will investigate and perpetuate a colloquial history of Chelsea at a time when the city is dramatically changing. 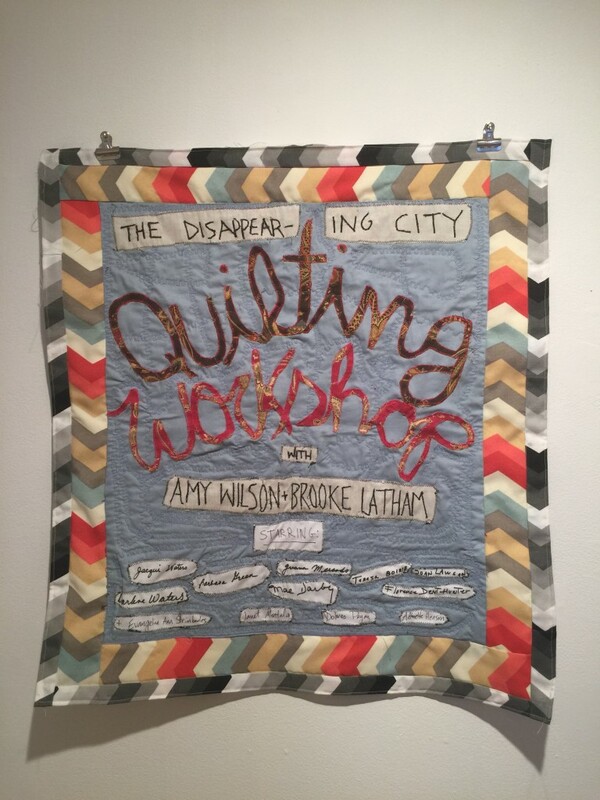 By re-contextualizing their personal experience of gentrification through the symbolic vocabulary of quilting, these senior citizens will reassert their presence against Manhattan’s ongoing narrative of exclusion. 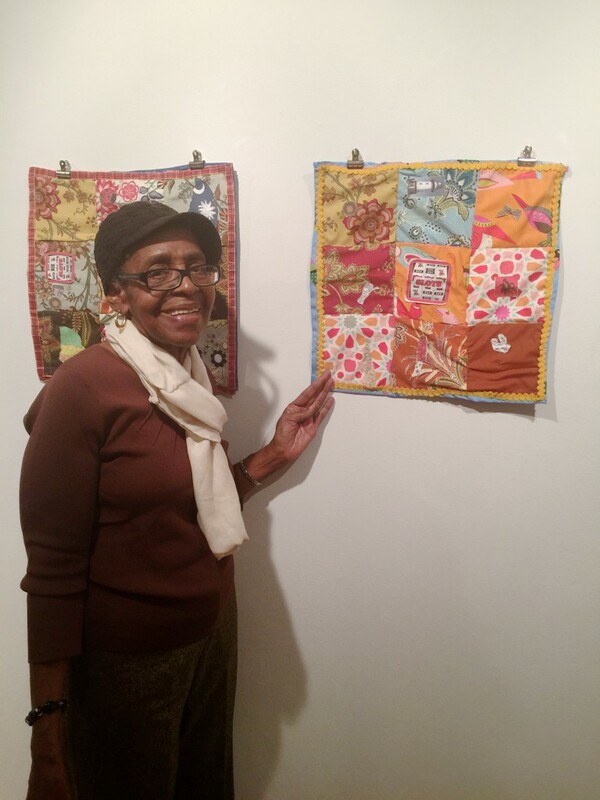 As the city they knew continues to disappear, these quilts will help preserve the legacy of the people who have lived in Chelsea for many years, before its present gentrification, and need to have a voice. Amy Wilson is an artist who works in watercolor, installations, artists books, and fiber media. She has exhibited her work widely throughout the US, with solo exhibitions at BravinLee programs, the Hunterdon Museum, the Warhol Museum, and Bellwether gallery. She has been included in group shows at such places as PS1/MoMA, the Drawing Center, the Grolier Club, Wellesley College, and many others. Her work has been profiled and reviewed in the New York Times several times, and in Art in America, Artnews, and Hyperallergic. She is part of the faculty of the Visual & Critical Studies program at the School of Visual Arts in NYC. She lives in Jersey City, NJ.